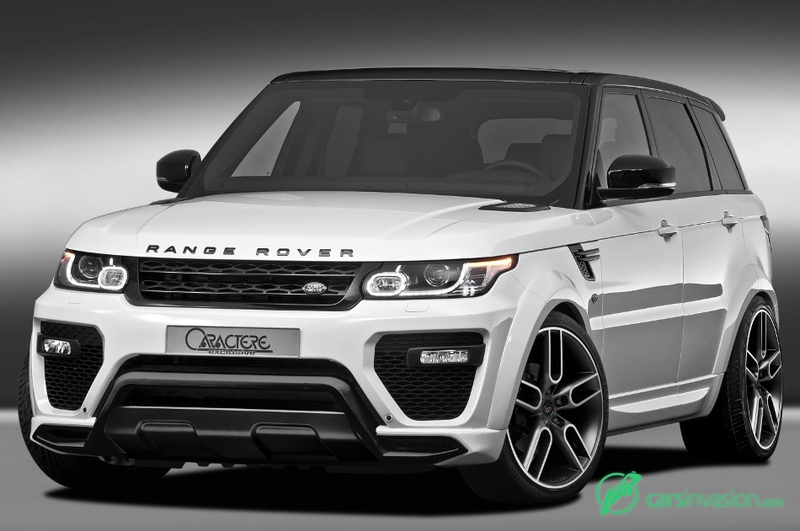 JMS Fahrzeugteile GmbH, the official German and Austrian distributors for Caractere, is proud to present the renowned Belgian body styling specialist's attractive new conversion for the Range Rover Sport. Cutting the cloth of the upper crust British off-roader in even more sporting garb, the Caractere body styling kit consists of a new front bumper (2,320.50 euro) featuring large intakes with integrated mesh, and is optionally available for vehicles with the surround camera system, ACC or PDC (at 178.50 euro extra each). The new rear valance with faux diffuser and integrated exhaust tailpipes (2,082.50 euro, plus 119 euro for 5.0 V8 version) gives the business end its more powerful appearance. 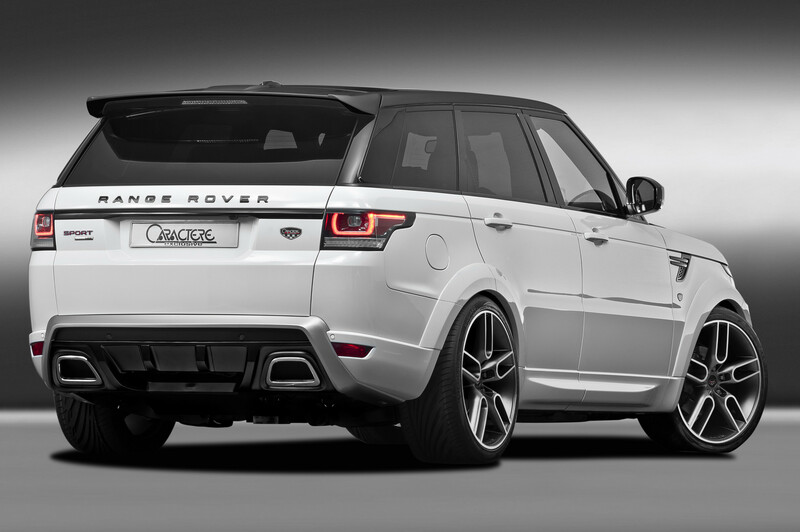 Subtle wheel arch extensions (1,487.50 euro, plus 119 euro for PDC equipped vehicles) flesh out the Range Rover Sport's flanks. Completing its more purposeful stance, a set of XL-sized 10.0J x 22-inch Caractere CW1 alloy wheels (946 euro) in combination with 50 mm (front) and 70 mm (rear) spacers (529 euro) fill the big arches to perfection. A roof spoiler (708.05 euro) adds the finishing touch to this styling conversion whose components are all moulded from high-quality PU-RIM, and come with a certificate of conformity.